The recipes for food, drink and entertaining. My mum liked scones and she always was able to remember the weights and measures for pancakes, Yorkshire puddings and scones. I don’t, so, fortunately, she scribbled them down. Here is one that I used last week and was asked for the recipe as they were described as “melt in your mouth”. Makes about 16 large scones which toast up very nicely on the 2nd day and they can be frozen but in my house, they are gone pretty soon. Now fold the egg & milk into the dry mix until the dough is moistened. Do not overwork. Bake for 20 minutes then turn over scones and bake for 10 more minutes or until golden on both sides. After soaking in liquid, the fruit will be full and lush. 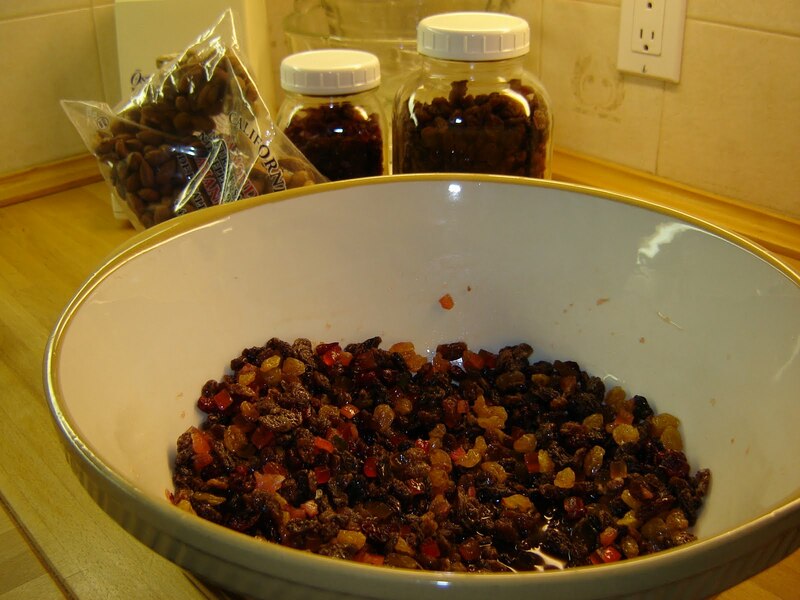 Mix well and place in a buttered round cake tin, traditionally for a Dundee cake it is 7 inches but I use a 9-inch cake tin as we like a lot of almonds on the top. 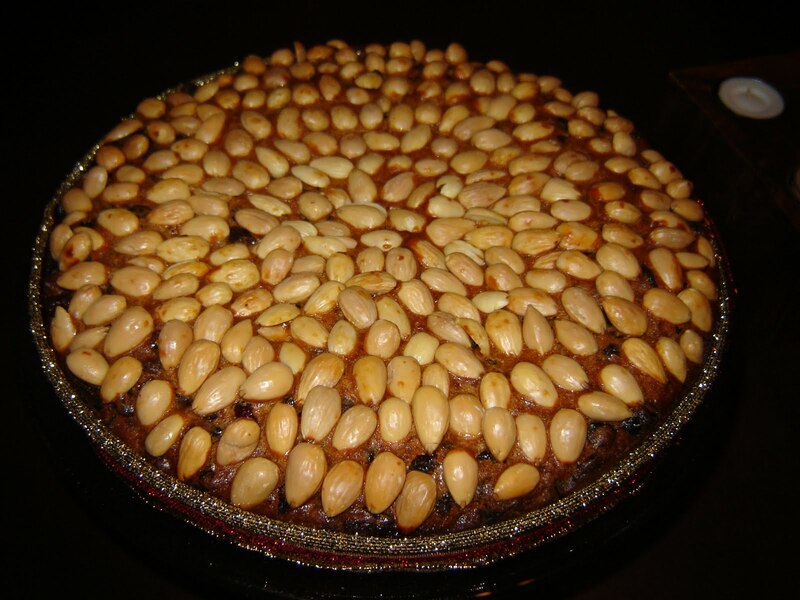 Place as many almonds as you like on top of the cake to decorate. Bake in centre of the oven for 2 hours for a 9-inch cake tin and 2 1/2 hours for a 7-inch cake tin. Test with a skewer, when it is clean, the cake is cooked. Leave in tin 10 minutes before turning out. Place on a plate or cake stand and add a ribbon around cake for a party. It is one thing to go out for tea or coffee but pre-made cold brewed coffee is something that I find extraordinarily expensive at the supermarket, especially as it so easy to make your own. Grind one cups of coffee beans coarsely, add the ground coffee to 2 cups of water that has been left to come to room temperature using a French press, large jug or jar. Leave covered on the countertop for 24 hours. Push down the press or if using jug/jar strain through a filter or cheesecloth. To serve: Fill a glass with ice (you can make ice cubes from the cold brew if you do not want the coffee diluted) Add your coffee concentrate, milk, water, soy, almond, cashew, coconut or sweetened condensed milk in whatever proportions you like. All are delicious. Try starting with half of each. If you take sugar, make a batch of simple sugar syrup to use with your cold drinks. If you want to make a larger batch, just double the amounts. NO LEMON? TRY FRESH ORANGE INSTEAD! It’s that time of year again when hands and feet become rough and grubby after gardening, painting, cleaning and odd jobs. To remedy simply take a little granular sugar and some olive oil in the palm of your hands to make a scrub. Rub into the skin gently and rinse with warm water. Wash hands if they feel too greasy. Now apply your favorite hand cream or body lotion. Voila, soft hands and feet! Use on knees and elbows too. This scrub is also good in winter when hands begin to dry out. We have mint so I will make up a batch of syrup for drinks throughout summer. Also, try in hot or iced tea in place of sugar. IN A SMALL SAUCEPAN ADD ALL INGREDIENTS AND BRING TO A BOIL OVER A MEDIUM HIGH HEAT, ONCE SUGAR IS DISSOLVED REMOVE FROM HEAT AND LET COOL. LET STAND FOR AT LEAST 30 MINUTES. THE POTENCY OF THE SYRUP WILL DEPEND ON THE AMOUNT OF TIME IT STEEPS. REMOVE MINT, DISCARD, LEAVE TO COOL. Victoria Day – Raise a Glass and Enjoy! Pimm’s On Tap In London U.K. – Genius! Most people now in Canada consider Victoria Day as the (unofficial) start of Summer! Queen Victoria died in 1901 and until 1952 Victoria Day was a national bank holiday on May 24. However, beginning 1953 Victoria Day is now celebrated on the Monday on or before May 24, which gives us the opportunity to enjoy a long weekend. One of the best ways to kick off the warmer weather and raise a toast to Queen Victoria and all things British is with a Pimm’s Cup originally served in James Pimm’s London oyster bar in the 1840s where he invented this delicious drink calling it the No 1 cup. It was a definite step up to the harsh gin that was normally served. Chop up all fruit and lightly muddle the mint and place in jug or glass. Add the Pimm’s followed by lemonade and ice. Serve and enjoy. 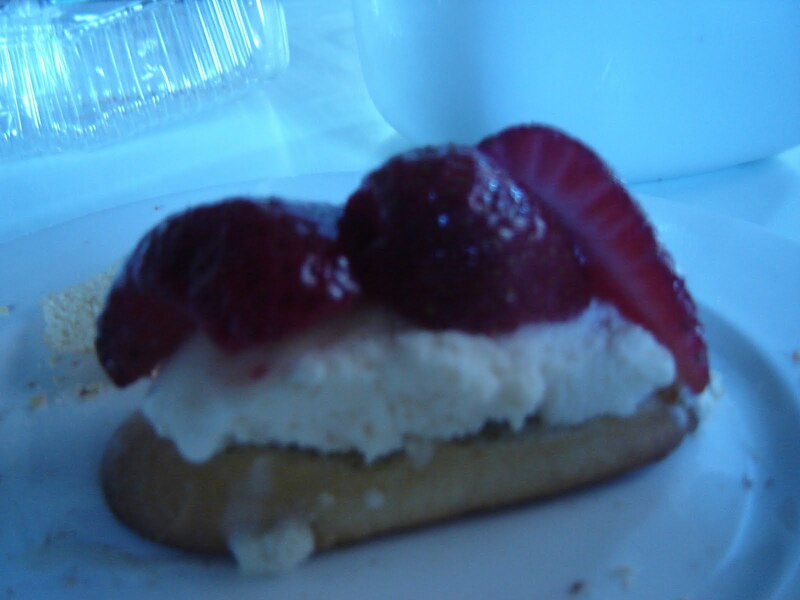 ADD STRAWBERRIES TO MAKE A SHORTCAKE! Suddenly after a cold April, we are having a mini heatwave! 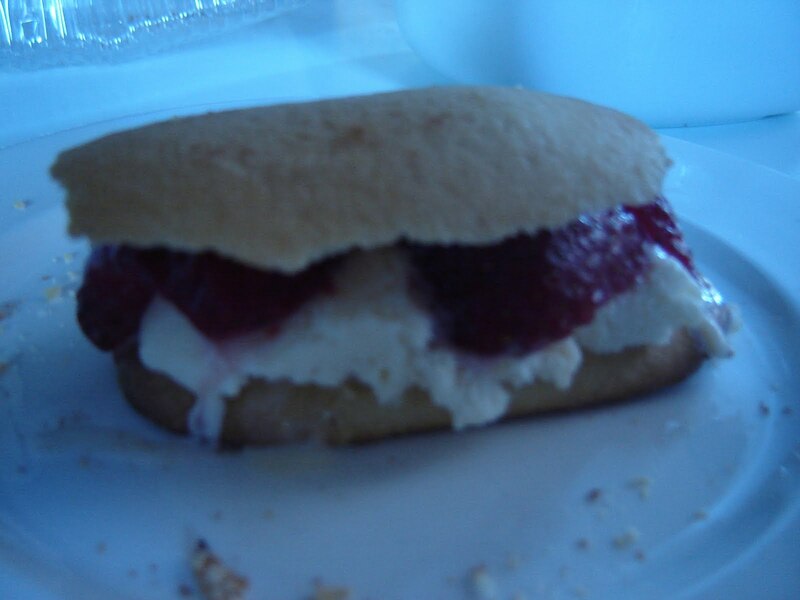 I love the giant ladyfingers as a snack with a cup of coffee but with the hot weather, we made some ice cream sandwiches and strawberry shortcakes, so delicious, quick and easy. Use your favourite combinations. PLACE ALL IN A LARGE SLOW COOKER, COVER, & COOK ON LOW 8 HOURS. IN THE MORNING ADD A LITTLE MILK OR CREAM AND SERVE WITH SOME MAPLE SYRUP. DON’T SLEEP IN TOO LATE! *, ADJUST RECIPE FOR THE SIZE OF YOUR FAMILY.